Wärtsilä will support the 1100 Class High Endurance Multitask Vessels operated by the Canadian Coast Guard, to renew their current propulsion generators. 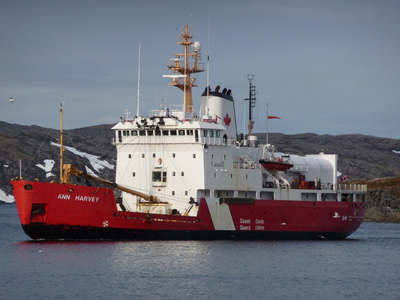 These vessels serve for buoy tending, search and rescue and icebreaking in each of the three Region of the Canadian Coast Guard. 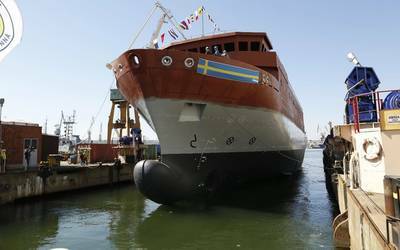 The new, more modern propulsion generators will contribute to the vessel's reliability for many years to come. Furthermore, the standards of engineering and fuel consumption for the new engines will lead to reduced operational costs and lower emissions. Wärtsilä and Public Services and Procurement Canada signed the agreement for the replacement of the diesel engines and the integration engineering on board in July 2017. The contract covers one vessel but also allows for the five additional 1100 Class vessels and for an engine for the CCG's College in Sydney, NS to be used for training of future Coast Guard engineers and technicians. Operating 114 vessels and 23 helicopters, the Coast Guard is responsible for programs and services that contribute to the safety, security, and accessibility of Canada's waterways such as marine search and rescue, aids to navigation, icebreaking, marine pollution response and providing support for other initiatives of the Canadian government.